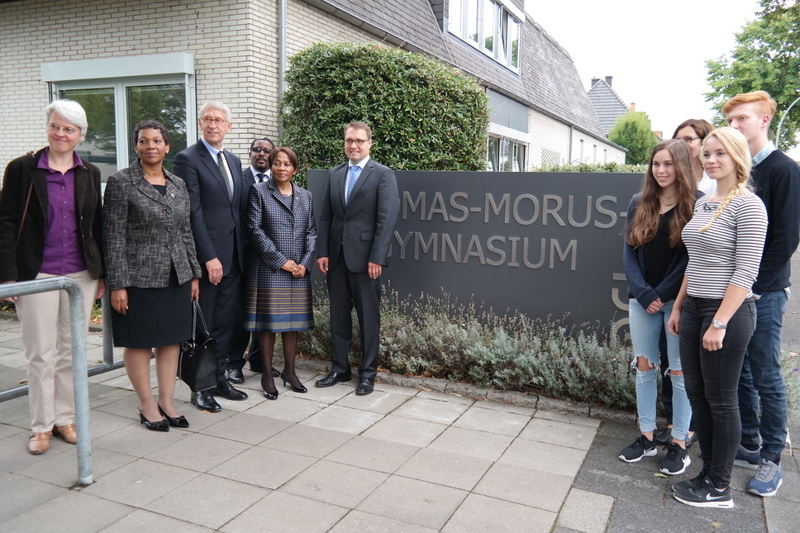 On 5th September 2016, the Embassy paid an official visit to the Thomas-Morus-Gymnasium (TMG) in Oelde, a town in the Federal State of North Rhine Westphalia. This initiative for a school partnership program in Germany is supported by Dr. Reinhold Festge, President of the German Engineering Association (VDMA).The Embassy briefed staff, students and invited guests who included the town Mayor, Mr. Karl-Friedrich Knop about Botswana’s history and educational system. The collaboration with Botswana will include exchange of students and teachers providing an opportunity to learn the history and culture of Germany as part of preparing them for a fast globalising environment. The school welcomed the possibility of a twining project with a school in Botswana. TMG, already has existing student exchange programmes with schools in France, Italy, Spain and the United States of America. Botswana will be the first African partner country. 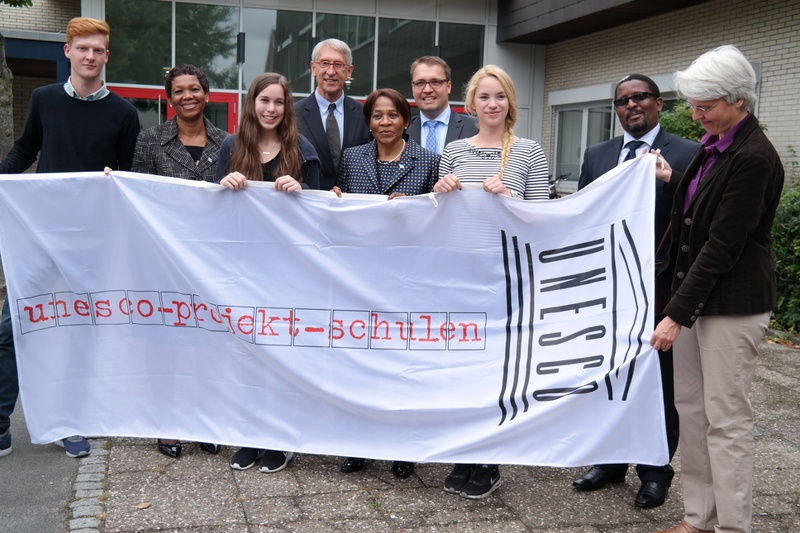 TMG is a UNESCO Associated School and has been awarded the label ‘School without Racism’. Thus, apart from the focus on academic development, its education also aims at tolerance, democracy and human rights, values that our schools in Botswana subscribe to.